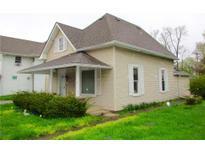 Find New Palestine, IN Homes for sale. View Photos, Maps and MLS Data Now! Sellers have never lived in home zoned as R3 multifamily and residential. MLS#21635158. Front Porch Real Estate, LLC. Wonderful neighborhood with 4 Star New Pal Schools. 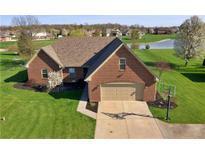 Close to I-70 and I-465 MLS#21635120. Quality Real Estate Solutions. Stinemyer Crossing - Near Southeastway Park, Doe Creek Park, and Buck Creek Winery. MLS#21633604. F.C. Tucker Company. Bristol Ridge - Here are just some of the many features included: 3 CAR GARAGE, OVER HALF ACRE CUL-DE-SAC LOT, 2 FIREPLACES, JACK & JILL BATH, BEAUTIFUL HARDWOOD FLOORS, FINISHED BASEMENT WITH AMAZING KITCHEN/BAR AREA, CUSTOM LIGHT FIXTURES, CUSTOM PAINT, BUILT-IN DESK AREA IN KITCHEN, GRANITE COUNTER TOPS, GORGEOUS LANDSCAPING, REAR YARD PAVER PATIO AND FIRE PIT AREA, 2 STORY ENTRY, STUDY/CRAFT ROOM IN BASEMENT, STUDY ON MAIN FLOOR, FORMAL DINING ROOM, BREAKFAST AREA, STAINLESS STEEL APPLIANCES, MASTER BATH SEPARATE SHOWER AND JETTED TUB, MASTER BEDROOM HAS 2 CLOSETS, SIDE LOAD GARAGE, AND MORE. Schedule your tour today! 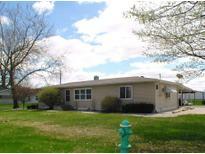 MLS#21634976. Indy Premier Realty. Village Green - New Pal 4 Star Schools. Close to I-70 & I-465. MLS#21633531. Quality Real Estate Solutions. Over 2 acre lot all within walking distance of The Links Golf Club and nature trails. MLS#21633403. Carpenter, REALTORS®. Schildmeier Woods - MLS#21633020. CENTURY 21 Scheetz. Please Don'T Miss This Opportunity To Have A Business Location Across From Mcdonalds And The Speedway Gas Station In New Palestine, This Property Is Zoned For Business And Would Be An Ideal Location For Many Types Of Business, This Property Includes Two Parcels Equaling .6364 Of An Acre, Property Is On City Water And City Sewer But Also Has A Well For Exterior Water Uses, 150 Feet Of Frontage On Heavily Traveled Us 52, MLS#21632797. F.C. Tucker Company. All of this on an acre lot with a privacy fenced rear yard and beautiful country setting. MLS#21632841. Sugar Creek Real Estate, LLC. Denton Trace - All appliances are included for your peace of mind and new windows have been installed. MLS#21632670. RE/MAX Ability Plus. All kitchen appliances, washer, and dryer stay. (W-ECK) MLS#21632669. CENTURY 21 Wilson & Associates. 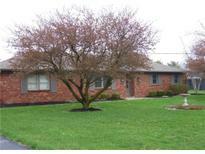 Summerhaven - Neighborhood pool, park, tennis court and convenient location to Indy! MLS#21631460. Heroes Property Group. Briarwood Trace - This is a must see before its gone!! Welcome Home! MLS#21630563. Front Porch Real Estate, LLC. 3 car garage, 1 pole barn and 1 cattle barn with electricity and fenced pasture. Great opportunity-Must See! MLS#21631020. RE/MAX Realty Group. This home checks off everything on your wish list! MLS#21630989. Keller Williams Indy Metro S.
Meadow Lake Village - 3 new furnaces in 2018. Fresh paint throughout. MLS#21628905. F.C. Tucker Company. Boulder Creek - 891 Sq Ft 3+ car garage, custom doors for any truck, separate 3rd bay for projects. You will love this home! MLS#21630296. Front Porch Real Estate, LLC. Cozy front porch complete with porch sing. MLS#21630542. RE/MAX Realty Group. Nook off laundry for hanging coats and storage. MLS#21630271. RE/MAX Realty Group. Harting Farms - Note: Master curtains do not stay. MLS#21629945. Indianapolis Homes Realty, LLC. Bridgewood - Pergola Covered 12 X 12 Patio w/ Swing. Fenced-in Rear Yard, and Firepit. MLS#21630178. F.C. Tucker Company. Nice fully fenced in back yard with view of pond. MLS#21629819. Berkshire Hathaway Home. Just sit back and enjoy this scenic view in this truly amazing home. MLS#21629832. Front Porch Real Estate, LLC. Upstairs offer bedrooms and 19' X 16' bonus room and spacious laundry room! MLS#21627724. F.C. Tucker Company. Windhaven - Upper level good size bedrooms and loft area. MLS#21628689. Hosey Real Estate, Inc..